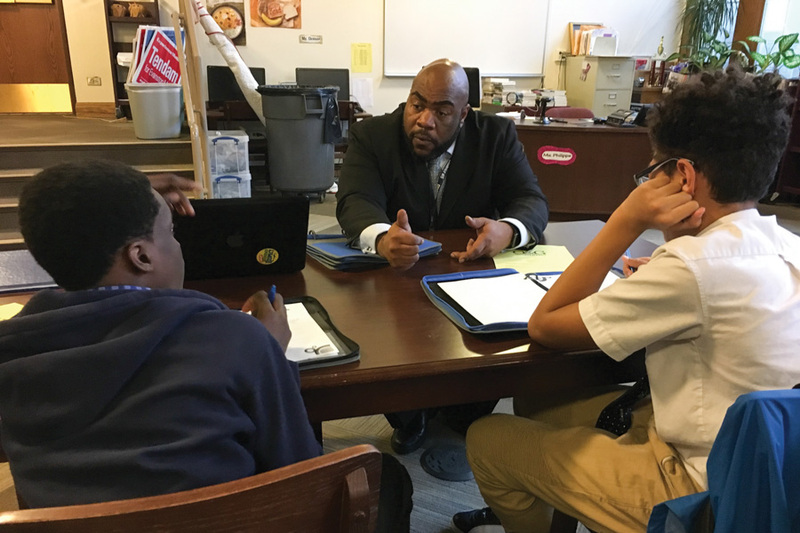 The Organization for Positive Action and Leadership announced its support of the equity work at Nichols Middle School, following a piece in Crain’s Chicago Business that claimed the separation of faculty for a training session was indicative of segregation. On March 23, Peter Kirsanow — a commissioner at the United States Commission on Civil Rights — wrote a letter to Nichols principal Adrian Harries, saying Harries’ practice of separating teachers into racial affinity groups was “beyond appalling.” His letter came after the Wall Street Journal published a Nov. 14 email from Harries to staff members about a meeting on equity. The email said employees separated for the staff meeting according to affinity groups based on race, with those identifying as “white” going to one room and those identifying as “people of color” to another. Harries did not respond to a request for comment. In a Monday news release, OPAL called for Evanston/Skokie School District 65 members to express their support of Harries, who they said is “courageously carrying out” the district’s mission of increasing equity. Board president Sunith Kartha said the board supports Harries and the “bold and brave” work he has done. Kirsanow’s letter to Harries, while written on official government letterhead, does not reflect the views of the commission, according to an email from commission chair Catherine Lhamon obtained by The Daily. Kartha said there has been a sense that the district is in trouble with the commission, which is not the case. After exploring the issue of race with those who share the same identity, staff members come back together to share what each group learned, Kartha said. “It’s all part of a process about deepening the adults’ racial competency so that we can then better facilitate these discussions for children,” Kartha said. Board vice president Anya Tanyavutti said this is the first year the district has provided the training for everyone in the district, so they do not have student outcome data available. She added that there is research and data from other districts around the country who have utilized similar tools, demonstrating that the practices create safe spaces to have more informative conversations. Kartha said the district has received letters from parents and other community members saying they support the equity work and to resist criticisms from the media. The city and Evanston Township High School have done similar work, Kartha added, so District 65 is not alone in moving forward to alleviate the achievement gap and other racial inequities in Evanston.